We covered the basics of SEO in our previous post. Today, we’re going to explore how this fits in with marketing goals, design aesthetics, and functionality. Knowing these basics of SEO should help in understanding where SEO fits in with a website or marketing campaign. Lee Odden gave a wonderful metaphor for explaining this relationship in a recent article. I couldn’t have said it better myself. SEO is not everything alone, but it should be part of everything. Using it alone won’t generate the results that you want, but using it with other tools will help enhance the campaign. Similar to how a company would send out a press release as part of a campaign, they would want to work with your SEO team to ensure that the press release includes the right keywords and links as well as relevant content on their site to direct users to. Adding an SEO mind to campaigns can help increase the campaign’s reach and possible return on investment. This involves making the SEO part of the marketing strategy phase and the design and development phase of a website. With newer ways to design websites and the “less is more” approach, it’s easy to focus on minimal content and small sites to get a message across. The problem with that is that most sites have multiple messages and a desire to rank for multiple keywords related to each message. I’m specifically thinking of a one-page site with a parallax design. Now, I do enjoy a good one-page site; however, optimizing a site like this for multiple keywords is nearly impossible at this stage. When a designer and an SEO work together, they could come up with a solution that will meet all of the client’s goals. For example, a way around this issue would be to create the one-page website but also include individual pages that aren’t visible in the main navigation but rather in the footer navigation. This will allow for multiple pages focused on different keywords, giving the website a better chance to rank for a variety of terms while still maintaining a minimal, one-page user experience. 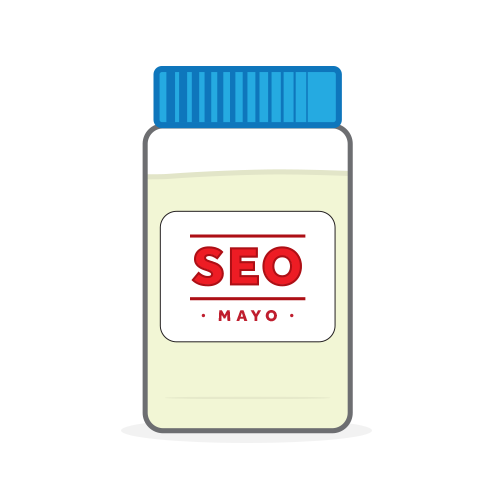 When a developer and an SEO get together, good things can happen. When developing a site from scratch, you have the opportunity to apply SEO best practices in development instead of after the site launch. Waiting until after the launch can be an issue, especially if a change in URLs is needed. When a marketing manager has quarterly goals to reach and a plan in place, presenting them to the SEO team can help increase the overall reach of the campaign. All too often, I catch marketing managers using paid search or social media as part of a targeted campaign, only to send users to the homepage, expecting them to find what they are looking for and convert. When a marketing manager and an SEO work together, the marketing manager can rely on an SEO to assist with content plans, keywords, competitor information, and website optimization. The SEO should recommend creation of a targeted landing page for the paid campaign so the user will have a better user experience and search engines can index the page, rank it, and bring other users through organic search results. As mentioned in my previous post, “What is SEO? Is It More Than Just Optimizing for Search Engines?” an SEO has the goal of enhancing the overall user-experience of the website even before the user visits the site. They also provide the added benefit of getting sites to rank higher and appeal more to users on search result pages. However, it’s only one piece of the puzzle, and a strong website will have more than one way of bringing traffic in. Are there any other examples of when an SEO and the marketing team work well together?